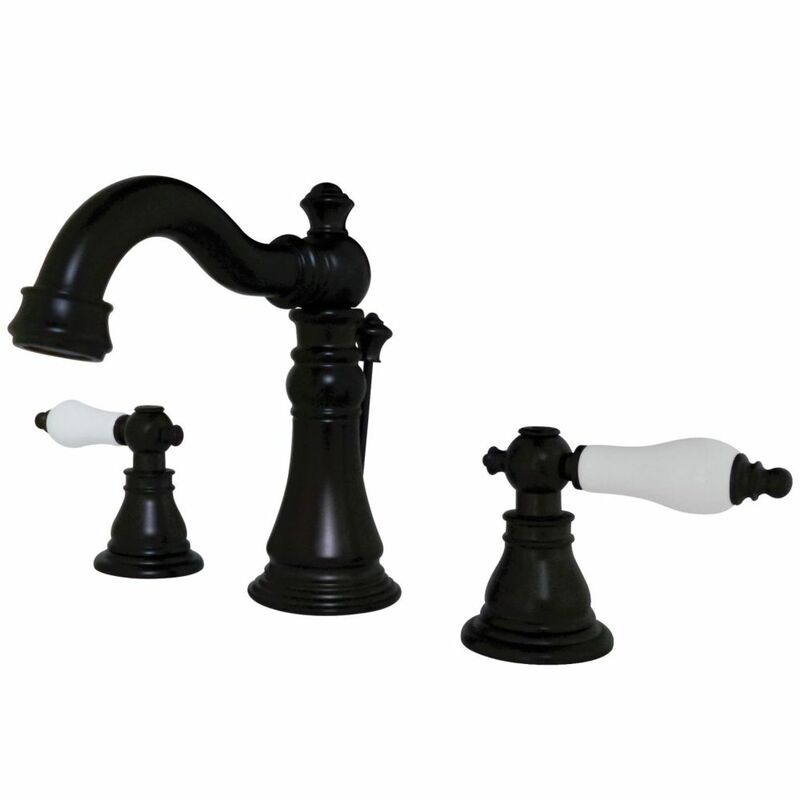 Classic 8 inch Widespread 2-Handle High-Arc Bathroom Faucet in Oil Rubbed Bronze Add an Old World feel to your bathroom with this Victorian spout faucet. Constructed of metal, it is built to last for years. From the quarter turn handles to the widespread design; this will be the centerpiece to any bathroom. Classic 8 inch Widespread 2-Handle High-Arc Bathroom Faucet in Oil Rubbed Bronze is rated 4.5 out of 5 by 28. Rated 4 out of 5 by Mary from I like this product but the left handle has to be tightened every time you use it. I like this product but the left handle has to be tightened every time you use it. Rated 5 out of 5 by HomeDepotCustomer from Exactly what I needed. Great quality beautiful faucet. ... Exactly what I needed. Great quality beautiful faucet. Rated 5 out of 5 by showbizness from This is a beautiful and well made faucet. I love the extend on the faucet - makes it so easy to ... This is a beautiful and well made faucet. I love the extend on the faucet - makes it so easy to wash your face or even wet your hair ! It looks gorgeous. The finish is really pretty. and the porcelain knobs on the handles --- make it fit perfectly into the decor. Rated 5 out of 5 by meltinginmatana from great quality We really like these and tbe faucets swivel. Very nice feature. Rated 5 out of 5 by DebiC from I love Kingston Brass faucets. The oil rubbed bronze is rich looking, and I love the high arching... I love Kingston Brass faucets. The oil rubbed bronze is rich looking, and I love the high arching faucet for bathroom sinks. The white porcelain handles are very attractive and perfect for the vintage/ farmhouse look we were going for. My husband installed the faucet, and he said the quality is great. Rated 5 out of 5 by Jane from This completed the look for my beautiful new blue vanity.... This completed the look for my beautiful new blue vanity. These faucets are very well made and easy to install. Rated 5 out of 5 by Camille from Love this faucet! It's beautiful and heavy. Works easily.... Love this faucet! It's beautiful and heavy. Works easily.